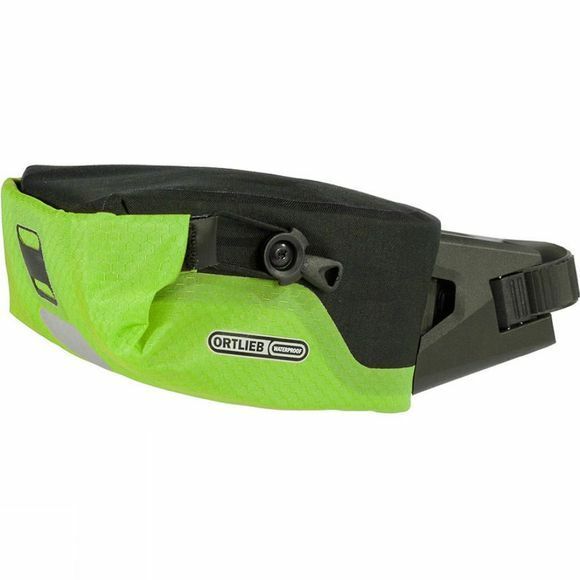 A handy, simple to use pouch which mounts beneath your saddle and is the ideal size for carrying a spare tube. If you're carrying something more moisture-sensitive though, no worries: the Saddle Bag is waterproof. The mounting kit clamps easily to your seat rails, allowing you to just click the bag in place when needed; wrap the hook and loop around your seat post for a snug fit and you're good to go. A strap kit is available separately for easy mounting to non-compatible saddle designs.